Grab 2 or 3 friends for a playful round of Aggravation. Similar to Chinese Checkers, learn how to play here! 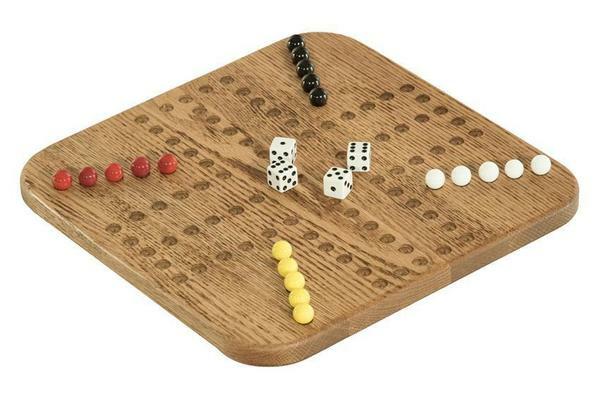 This board is crafted from oak wood finished in Medium Walnut stain and includes the 20 marbles and 4 dice needed for 4 players. Simply flip the board over to accommodate 3 players. Call us with any questions and see our Home Game Room Collection for more entertainment options! This board available in a different stain or paint with slightly longer lead time.